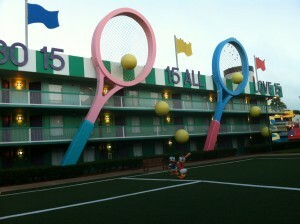 Resort Description: All Star Sports pays homage to everything sports related. With giant sports icons decorating the property any fan will feel welcome here! 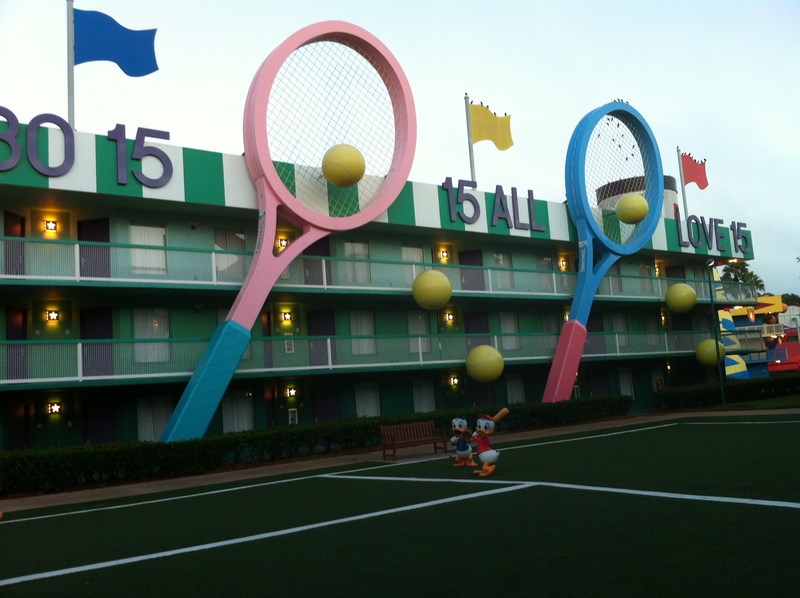 You will enjoy one of five themed areas during your stay including: The Hoops Hotel, Center Court, Surfs Up, The Homerun Hotel, and Touchdown. Dining: Dining at All Star Sports is offered at the Endzone Food Court. This food court is open daily from 6am until midnight. You will find family friendly fare such as waffles and egg sandwiches for breakfast and Pizza, pasta, BBQ, sandwiches, and burgers for lunch and dinner. Also offered are various snacks, desserts,and pastries. Pizza delivery to guest rooms is available as well. 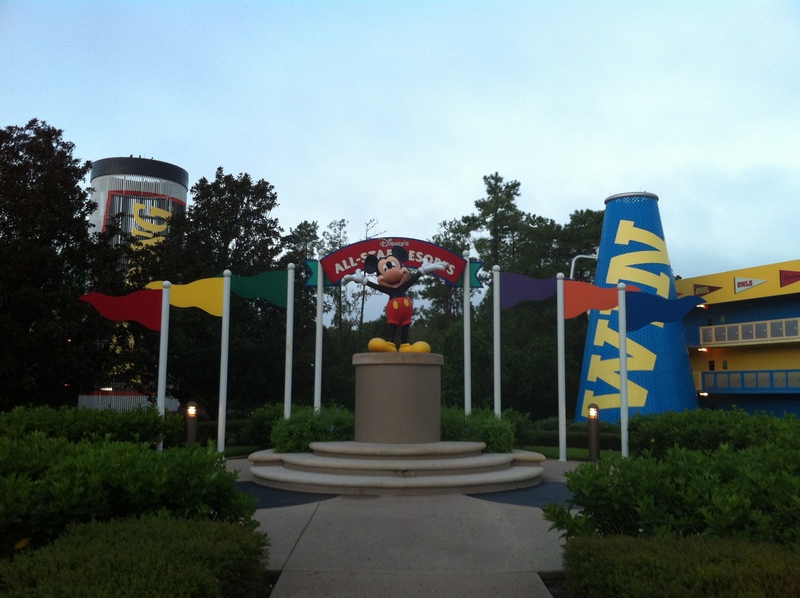 Transportation: Transportation is available to all four theme parks, both water parks, and Down Town Disney by bus. Taxis are available if guests are in need. Quick Review: All Star Sports is a family friendly resort and will often be the most affordable resort on property. Rooms are clean and serviced daily. This is a great option for families who plan to spend a lot of time touring the parks and other attractions. 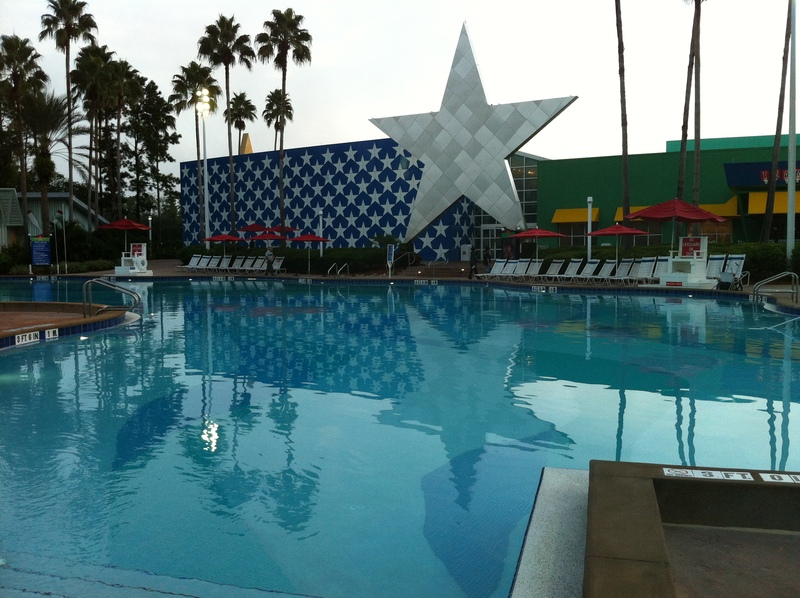 This entry was posted in Resort Spotlight, Value Resorts and tagged All Star, pool, Surfsup, Value Resort. Bookmark the permalink. ← What Do You Think About Limited Time Magic?